The ProMesh Respirator P2 Dust Mask protects users from breathing in dust and smoke. The P2 rating indicates that it filters at least 94% of airborne particles. It is designed with a flexible mesh which gives an airtight fit and retains its shape allowing for long periods of wear. The QuickLock straps are designed for easy use allowing for quick release and fit. 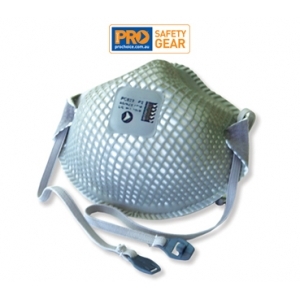 The Dust Mask also comes with a resealable Polybag which allows you to store the mask in hygienic conditions.